‘Kasia Cichopek has bought a potty’ – Polish paparazzi wait for hours to take a photo illustrating this sensational news; they wait near shops, in streets or by the celebrities’ homes. The film documents the life of a Polish paparazzo who, just like his Western colleagues, follows the rich and the famous, hunting for sensation. But unlike those in Los Angeles, Polish celebrities lead boring lives. That is why the paparazzo, tempted by big money, dumps Kasia Cichopek’s potty and decides to play for really high stakes. Director, cinematographer, photographer, documentalist, member of European Film Academy. He used to work a war photographer for Gazeta Wyborcza. He won numerous awards at Polish and International Press Photography competitions for his photo-reportages from Poland, Iraq, Iran, Sri Lanka, Georgia, Great Britain. Graduated from documentary course at Andrzej Wajda Masterschool of Film Directing in 2010. 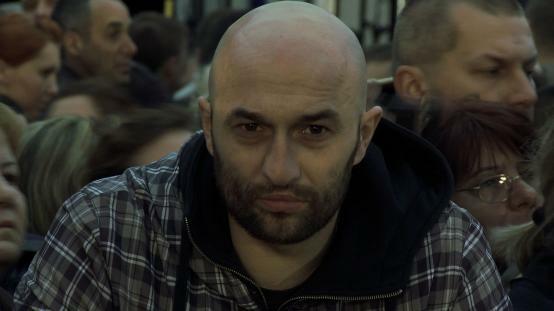 Nominated for European Film Award in 2011 for his short film ‘Paparazzi’. Participant of DOK.INCUBATOR 2013 (with Life of a Butterfly film project).